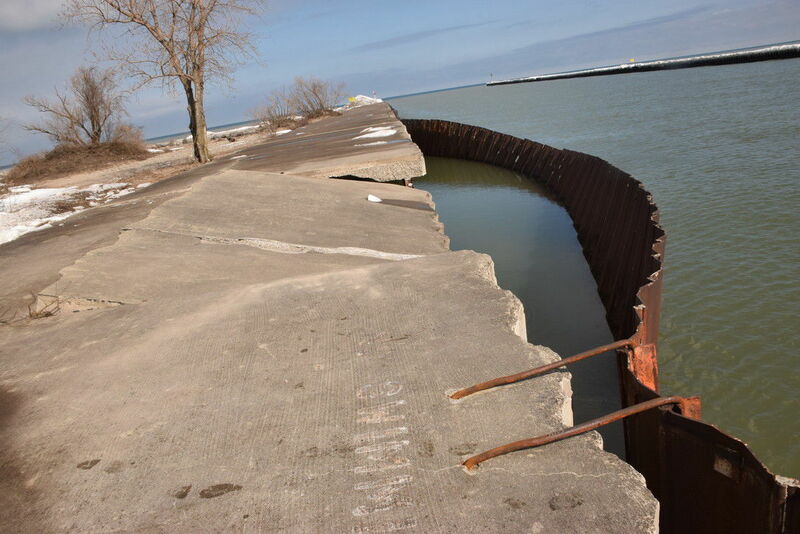 A photo of the Fair Haven pier provided by the Army Corps of Engineers shows the damaged sheet pile. A broken section of the Fair Haven pier. The U.S. Army Corps of Engineers is blaming weather events, especially a "significant" storm in late February, for bolt failures and sheet pile damage at the West Barrier Bar Pier in the village of Fair Haven. The Army Corps of Engineers followed its initial damage assessment in mid-March with a site visit two weeks ago to inspect the pier. A technical team from the agency, with the help of the Coast Guard, examined the damage from the water. Lex Barker, project manager for the Army Corps of Engineers, said in an interview with The Citizen that the damage was caused by bolt failures. The bolts that failed were from the last repairs made to the pier in the late 1970s. While weather contributed to the damage, the bolts failed after a winter storm in late February. "Those bolts were damaged heavily and that led to the steel sheet pile coming unraveled," Barker explained. The section of damaged sheet pile along the pier juts out about 10 feet. It shouldn't affect marine traffic in and out of the channel. Barker said the Coast Guard is aware of the situation and will send a notice to mariners urging them to avoid the sheet pile. A temporary barrier has been set up to block access to a portion of the pier. Not only were there bolt failures that led to sheet pile separating from the pier, but there is concrete damage. Photos provided by the Army Corps of Engineers show the concrete damage. A section of concrete appears broken and is angled down toward the water. Because it's unstable and not safe for pedestrians, the public is asked to avoid the area. Fair Haven Mayor Jim Basile said in March that the village isn't allowing vehicle traffic to access the pier, but he added that they "can't stop people from walking down there." With the damage assessment completed, the Army Corps of Engineers is developing designs for temporary repairs. Barker said the repair work would include placing straps on the steel sheet pile that would extend to the other side of the pier. The straps would be bolted in to prevent further damage and brackets would be added to prevent the sheet pile from unraveling. The project's cost is unknown. 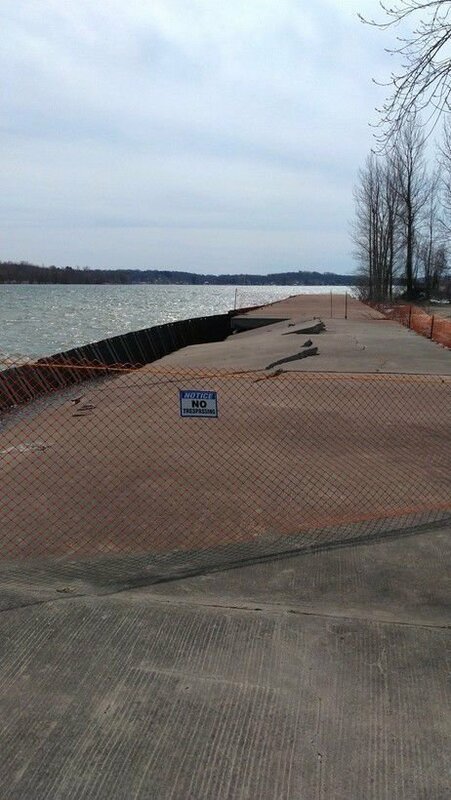 The Army Corps of Engineers has limited funds available and won't begin the temporary repairs until the fall. For a permanent solution, more federal funding is needed. "We're committed to public safety and making sure that we have transparent communication between the (Army Corps of Engineers), the village of Fair Haven, congressional members and the community," Barker said. "We'll communicate the status of the project as soon as we have more information."